This September, Forest Park Public Library (FPPL) is joining with the American Library Association (ALA) and libraries nationwide for Library Card Sign-up Month, to encourage community members to obtain a free library card that will save them money while reaping rewards in academic achievement and lifelong learning. Whether it’s providing free access to STEAM (science, technology, engineering, arts and mathematics) programs, educational apps, virtual homework help, or technology workshops, a library card is one of the most cost effective back-to-school supplies. Resources at the FPPL are available to anyone with a library card. This includes checking out a WiFi hotspot, accessing Ancestry.com, streaming movies with Kanopy, and listening to audiobooks with hoopla digital. During September, FPPL will host several activities, including a weekly Show Your Card drawing for all ages, a trivia night at The Beacon Pub, a Family Day of Play, and more! 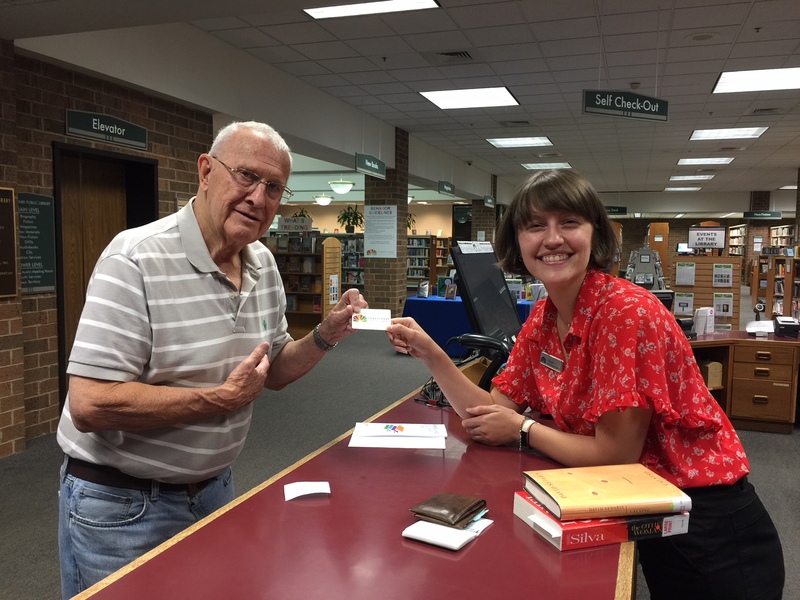 If you are interested in getting a library card, please bring a valid photo ID with your Forest Park address. If your ID doesn’t have your Forest Park address, bring it along with another form of residency. For complete information, click here or call the Patron Services Desk at 708-366-7171.